I don’t regularly write about opera, as I don’t really consider myself an opera expert. I come from instrumental music, and tend to judge operas much more on the orchestral performance than on the singers. But then again, occasionally there are operas I really care about and therefore feel comfortable enough sharing my impression. My favorite opera composer by far is Mozart, and I’ve mentioned Jacobs’ beautiful Idomeneo in My Must Have Mozart Albums. 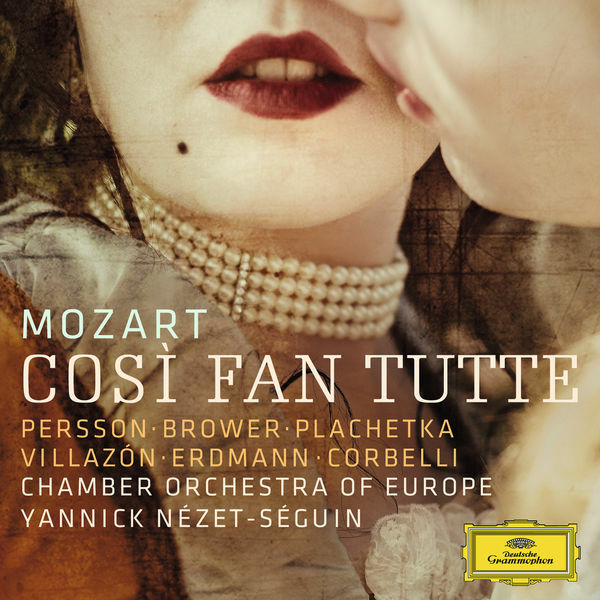 Furthermore, there is one more five star rating opera review, Nézet-Séguin’s Cosi Fan Tutte, recorded live in Baden-Baden. Cosi is my absolute favorite Mozart opera, closely followed by Le Nozze di Figaro. So as you can kind of guess, when Nézet-Séguin’s Figaro was very recently released, I clicked buy pretty much instantaneously. Maybe I should have used my streaming subscription first. No, that’s a bit harsh, I don’t expect to regret the purchase. It’s just that after the great Cosi I just expected more. I expect drive, lightness, sparkle! Just what the libretto of this slightly silly story requires. And what we get here is slightly different. Nothing really wrong, beautiful singers, and the COE plays well, but there is the certain “Je ne sais quoi” missing. I mean, we have with Thomas Hampson and Sonya Yoncheva a beautiful Almaviva couple. However, both Pisaroni and Karg convince me a bit less. They sound a bit too much Belcanto, and not enough Mozart, if you know what i mean. And even Nézet, who usually plays so energetically, just takes a slightly lower, heavier tone here with the COE. Nuances, I admit, but I still rather go back to Jacobs, Erich Kleiber, or James Levine at the Met. I’m curious to hear if these are only my personal impressions, or if you share them. Please agree or disagree with me in the comments section! UPDATE Aug 15: Gramophone agrees with me in their September 2016 issue, saying that “the drama slips through his [Nézet-Séguin’s] fingers at some places.